When she took to the stage at the Baxter Theatre in Cape Town friends and family could not wish her luck with the customary “break a leg”. Because just a week earlier she’d done just that – she’d broken her right leg. Not on purpose, of course. It’s just one of the many things Christelle Dreyer has to live with because of her condition. The 31-year-old and her twin sister were born with osteogenesis imperfecta, a condition that causes bones to be brittle and sometimes limits growth – and this makes Christelle’s achievements all the more remarkable. Christelle is disabled and barely a metre tall but packs a punch when it comes to talent and drive. She’s an accomplished dancer, actress and graphic designer. She’s just finished a successful run as the nurse Simonne Evrard in the challenging stage play Marat/Sade at the Baxter Theatre in Cape Town, despite her broken leg. Wheelchair dancing is her passion and she’s a former world champion in ballroom and Latin dance. Christelle also teaches and inspires children born with disabilities to express themselves using their body. 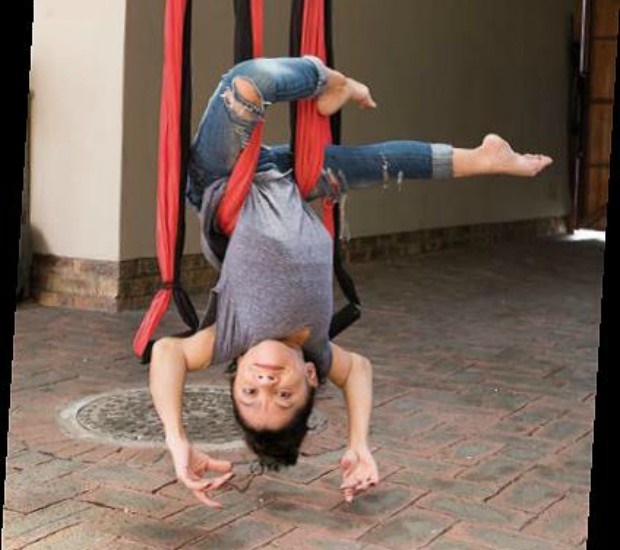 The Western Cape government has just recognised her efforts with an award for a contribution made to the arts by a person with a disability. “People think it’s safer to use terms like ‘differently abled’ but I don’t care if people refer to me as disabled. That’s how I was raised. If you’re born as a so-called disabled person it’s just part of your reality,” she says at her parents’ home in Brackenfell, Cape Town, where she lives. “I don’t feel different. I can move. I can dance and express myself. What I want to say I can better express through dance than just with language. It says more about me than words. “We never spoilt her and her sister,” mom Heather (52) says. She and her husband, Lionel (52), are estate agents in the Mother City’s northern suburbs. 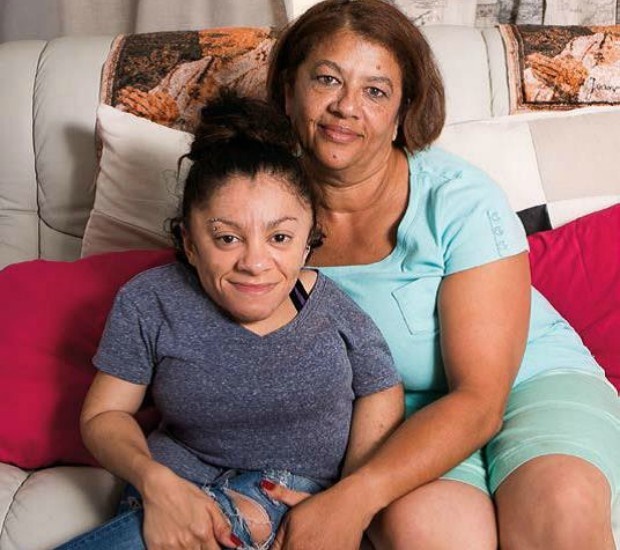 The twins, who were born at Tygerberg Hospital in Cape Town, were initially diagnosed with dwarfism but when they were two weeks old Christelle’s sister broke her left femur, which led to their condition being diagnosed. They attended the Astra School for Learners with Special Educational Needs then Monument Park High School in Kraaifontein. School was a happy time. “I was never bullied. My friends would never allow it,” Christelle says. 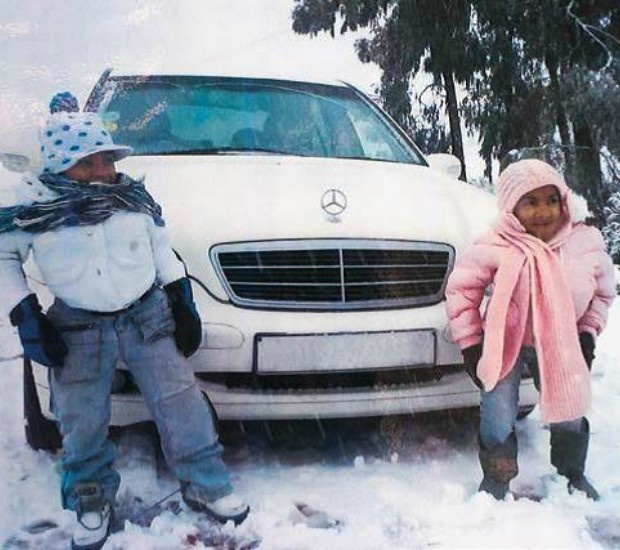 All over the house are photos of the twins, who seem to have enjoyed a carefree childhood: frolicking in the snow in the Western Cape town of Ceres; having fun at parties; as graduates posing with their proud parents. Christelle studied graphic design at the Cape Peninsula University of Technology. “Through the years I’ve known people have been rude to the girls,” Heather says. “They don’t even know I know. But it was never necessary for me to step in. They handled it themselves. They’re strong women,” she adds proudly. She produces photo albums from their early life. They’re identical but from birth she says she could tell the twins apart. Christelle inherited her artistic streak from her mom, who indulges her own creative side in her garden and home. The front garden features multi-coloured pebbles arranged in patterns. They’ve taken the place of a lawn because of the drought in Cape Town. The house is also decorated in a colourful, creative way. When Christelle’s not on stage or doing wheelchair dancing she designs logos, posters and pamphlets for companies and shops. She wants to have a place of her own one day but for now she’s saving her money. Her sister moved out last month to her own flat and Christelle turned the TV room into her office. She has a driver’s licence but is waiting to be able to afford a reliable vehicle that can be adapted with higher pedals for her to reach. In May she’ll be wowing audiences in No Fun Ction All Anguage, produced by the Chaeli Campaign, which emphasises the importance of diversity and inclusivity and how the community can learn from differently abled people. The vibrant show features able-bodied and disabled artists who dazzle audiences with their moves. It was one of the most popular productions at a previous National Arts Festival in Grahamstown in the Eastern Cape. “It takes a microscopic look at the spaces in between, where words fail us, where we desperately look for meaning,” Christelle says. Last year she was a harlequin for a Halloween function and at Christmas she was one of Father Christmas’ elves at Grandwest Casino and Entertainment World in Goodwood. Christelle may want children of her own some day but for now she’s focusing on her career. Her role in Marat/Sade, which is set in an asylum, was a fulfilling experience. Christelle might be chosen only for particular roles but she doesn’t feel held back by her appearance. “I’m used to always being the littlest person. The fact people are chosen for roles depending on their build and colour is just the way things are. I don’t feel judged by that. I feel comfortable with who I am. Christelle is full of hope for her future. Perhaps she’ll have her own production one day or more roles on stage or in front of the camera.